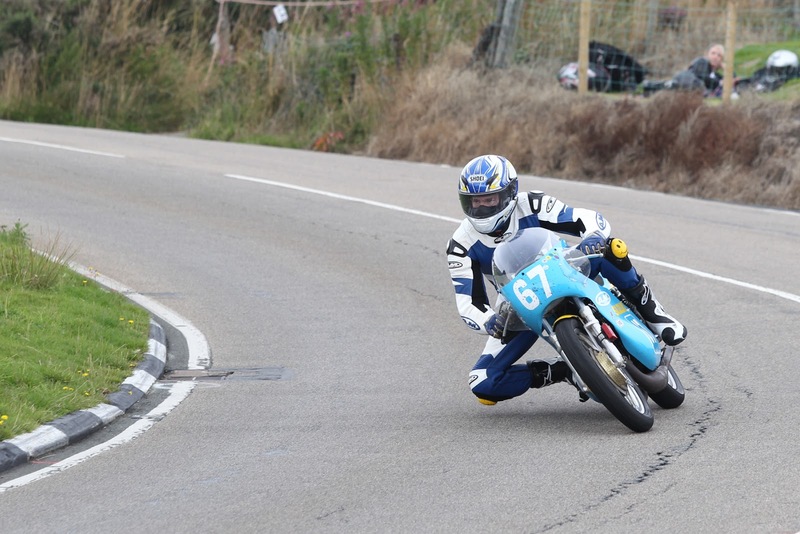 After a half an hour delay due to mist on the Mountain Course, the Okells 350 and 250cc Classic TT Race got underway at 10.45am. 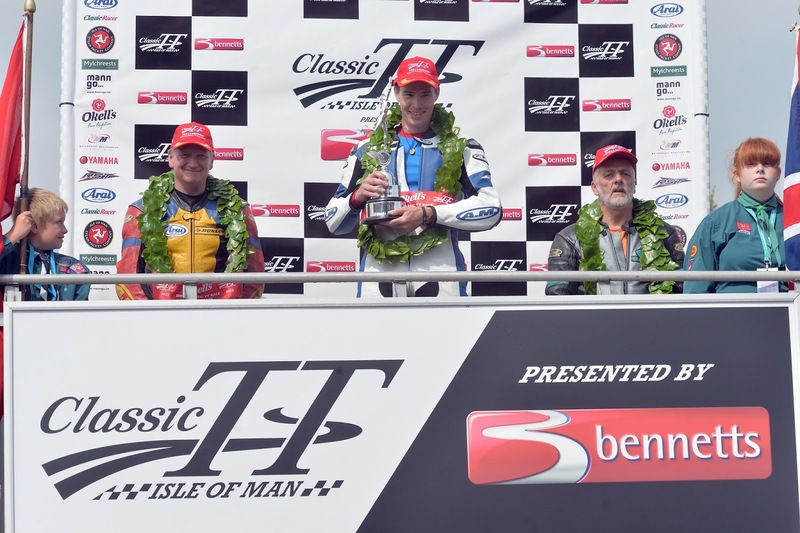 The race was the second of the 2013 Classic TT presented by Bennetts. Chris Palmer on the Ripley Land Racing Honda, starting from ninth, was first to Glen Helen, establishing a four second lead from Roy Richardson’s FCL Racing/Martin Bullock Manxsport Aermacchi with Alan Oversby riding the Davies Motorsport Honda in third, Swallow holding fourth and Linsdell completing the top five. The top ten starters were seeded and went away from their original grid positions but Doug Snow, the leading privateer from Saturday’s 500cc Race, moved into sixth by Glen Helen on the opening lap. Richardson cut Palmer’s lead back to just under four seconds by Ramsey but the pair had established a healthy lead over the chasing pack. Linsdell was up into third by Ramsey but only a second ahead of both Oversby and Swallow. Palmer increased his lead with an opening lap of (22:22.600/101.168mph) to head the field by almost five seconds from Richardson (22:27.391/100.808). Oversby (22:40.678/99.824)) moved into third ahead of Linsdell (22:44.971/99.510mph) and Swallow (22:45.312/99.485). As Manx radio commentator Roy Moore speculated whether Richardson and the other single cylinder machines would try to complete the four-lap race without refuelling, the Blackpool rider was reported as retired at Glen Duff with mechanical trouble. 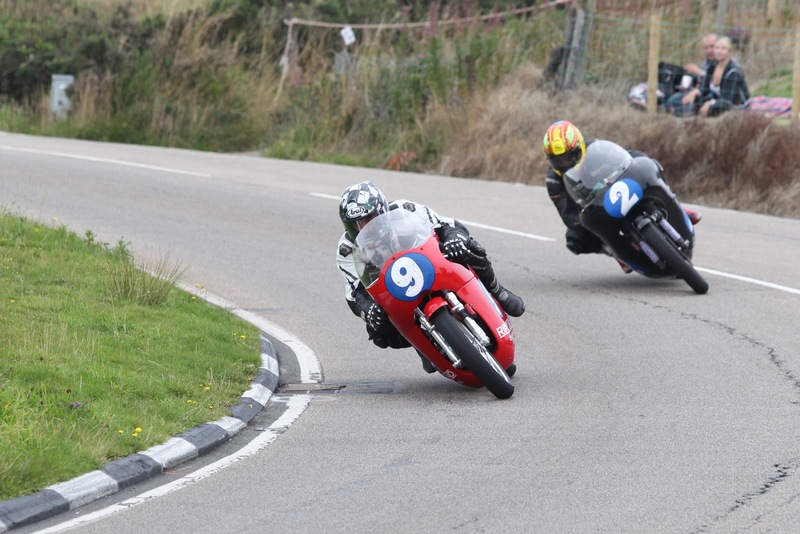 Oversby lost time over the mountain, dropping from second to eighth place between Ramsey and the Bungalow, leaving Swallow in second and Donald holding the final podium place. Both Alan Oversby and Olie Linsdell duly came into the pits at the end of the second lap but rather than refuelling the pair both retired in the pits. Palmer’s second lap of 22:18.613/101.318 gave him a lead of over forty seconds from Swallow (22:38.786/99.963) at the Grandstand. Donald’s (22.33.114/100.382) maintained his third place with former British 125 Champion Dan Cooper, on the Team Molnar Manx Norton moving up to fourth. That remained the top four at the end of the third lap with Doug Snow staying in fifth place. Northern Ireland rider Jamie Hamilton, after a slow opening lap of 23:37.651/95.812 where he clearly had problems, produced a considerably quicker second lap (22:19.679/101.388) and was reported as fastest through most of the sectors, moving up into seventh by the end of the second lap. However, with him cutting through the field, he was reported off at Parliament Square but was OK. Despite building a lead of over a minute going into the last lap, Palmer elected not to refuel and managed to bring the Honda home with a final lap of 22:25.566/100.945 for an overall race victory of 1:29.36.797/101.048. New Zealand rider Chris Swallow was reported as a last lap retirement at Gorse Lea leaving Cameron Donald (1:30.45.048/99.781) in the runner up spot and Dan Cooper (1:30.54.446/99.607) to take the final podium place. 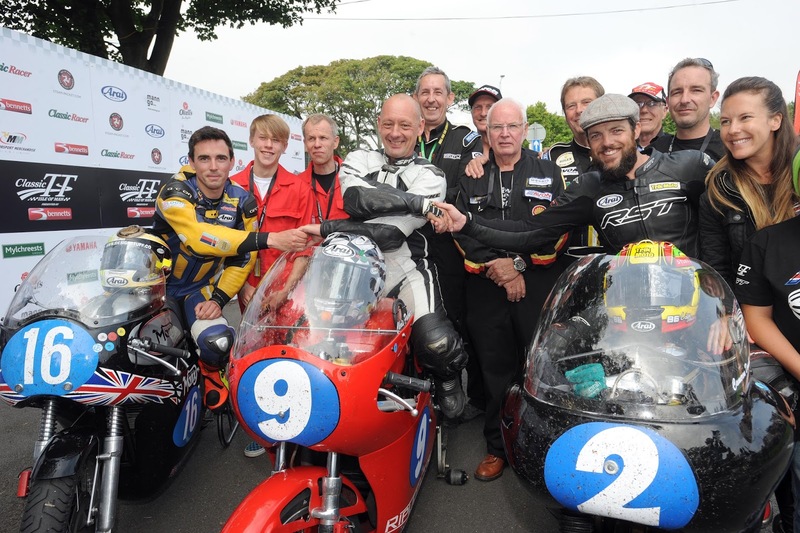 In the concurrent 250cc class, Dan Sayle, better known as a sidecar passenger with six TT wins but who also has two lightweight MGP victories, was first away on the Bob Jackson Racing Suzuki from Chris McGahan on a Kawasaki and Alan Bud Jackson also on a Suzuki. Ewan Hamilton built a twenty second lead at the end of the opening lap with 22:36.186/95.911 from Jonathan Cutts (23:56.485) with Peter Wakefield in third with 24:12.446/93.517. Hamilton maintained his lead with a 23:50.514/94.950 second lap with Jonathan Cutts (23:47.931/95.122) holding second and Tom Jackson moving ahead of Wakefield into third but with Hamilton experiencing problems in the pits which would force his eventual retirement in Parliament Square, Cutts took the lead on the third lap. Cutts duly held on, posting a fourth lap of 24:11.378/93.586 for an overall race time of 1:37.13.323 to win by over twenty seconds from Peter Wakefield (1:38.53.149/91.572) with Geoff Bates (26:53.133/83.888) taking the final podium place as well as being the leading privateer in the race.